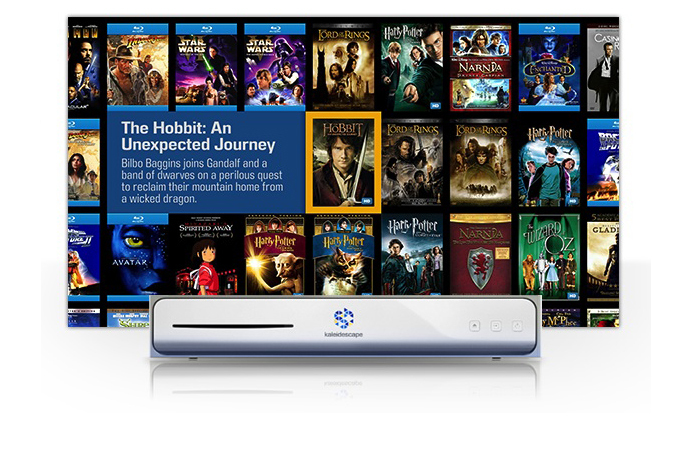 The Kaleidescape System simplifies the way you collect, manage and enjoy movies and music. Enjoy having your personal entertainment collection stored at home. Buy your movies directly through the Kaleidescape System and say goodbye to DVD and CD clutter. Storing and organizing your movies and music easily and affordably. And, since your Kaleidescape System uses high-speed networking to deliver your favorite movies and music throughout your home, you can instantly access and enjoy them when it's convenient for you, your family or your guests.